1. Luo Wenhua and Gesang Qupei (sKal bzang chos 'phel) (ed.). 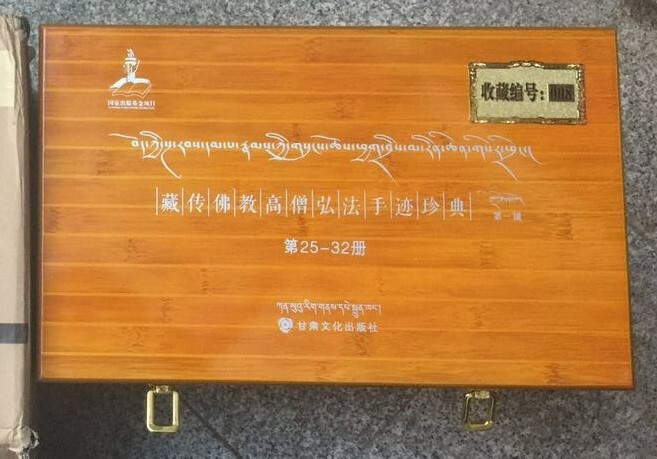 dPal gong dkar chos sde'i ldebs ris: Bod brgyud nang bstan ri mo'i lo rgyus kyi lam tshad rdo ring / Gongga qudesi bihua: Zangchuan fojiao meishu shi de lichengbei. 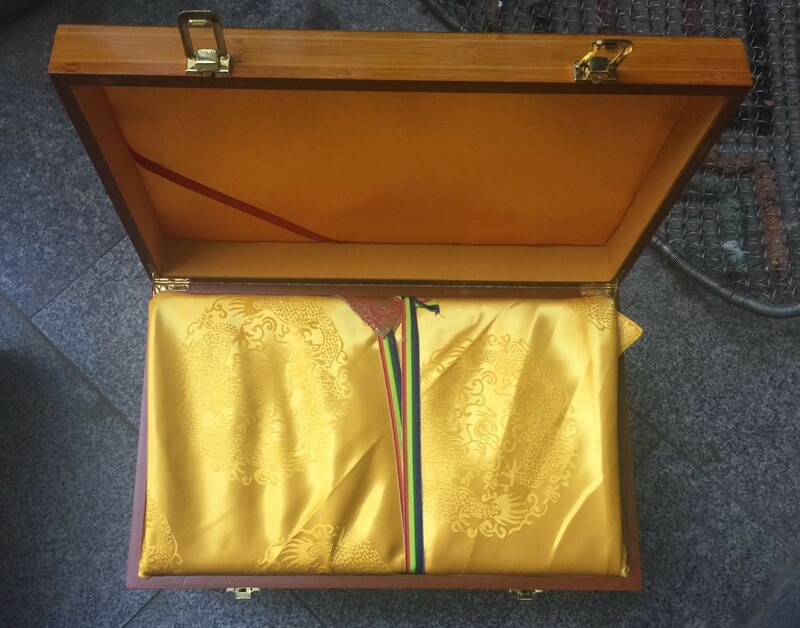 Xueyu meishu zhi lv. Gugong chubanshe, 407 pp., 2016. ISBN 978-7-5134-0787-8. 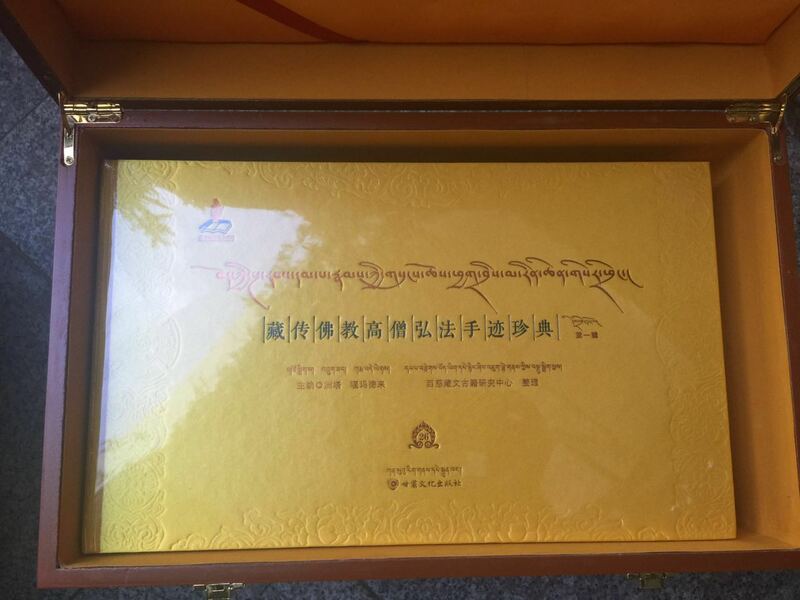 Large hard cover volume in slipcase on the fifteenth-century murals of Gong dkar Monastery by the famous artist mKhyen rtse chen mo, the founder of the mKhyen ris style (colour plates; Chinese). 2. Kang Luosang yixi (ed.). Karma sgar bris lugs kyi thang ga / Gama gazi huapai tangka. Krung go'i thang ga rig gnas zhib 'jug lte gnas. Wenwu chubanshe, 439 pp., 2015. ISBN 978-7-5010-4276-0. 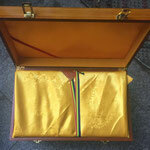 Large hard cover volume compiling various Karma sgar bris thangka paintings, such as the dPal spungs set of the successive Karma pa and Si tu pa incarnations, paintings by the Tenth Karmapa, and the famous sets of Arhat and Avadana depictions (colour plates; Tibetan and Chinese). 3. Kang Luosang yixi (ed.). Krung go'i thang ga / Zhongguo tangka. Krung go'i thang ga rig gnas zhib 'jug lte gnas. Large hard cover volume compiling various thangka paintings (colour plates; Tibetan and Chinese). Wenwu chubanshe, 2015. ISBN 978-7-5010-4275-3. 1. 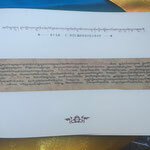 Klu dgon bshad sgrub 'dus sde'i dpe mdzod khang (ed.). rGyal ba gnyis pa sman ri ba mnyam med chen po'i bka' 'bum. 10 vols. (hard cover). Si khron dus deb tshogs pa and Si khron mi rigs dpe skrun khang, 2015. ISBN 978-7-5409-5907-4. 2. sMon bzang dpe rnying 'tshol bsdu khang (ed.). 'Phags yul rgyan drug mchog gnyis kyi zhal lung: dPal sa skya'i bzhed gzhung pod chen drug gam grags chen bco brgyad. 79 vol. rTse chen rig mdzod, vol. 1-79. Bod ljongs bod yig dpe rnying dpe skrun khang, 2015. First set of a collection that wil comprise 45 vols. on Tshad ma, 26 vols. on ' Dul ba, 27 vols. on mNgon pa, 30 vols. on dBu ma, 30 vols. on sDom gsum, and 30 vols. on Cha lag. ISBN 978-7-80589-670-0. 3. Krung go’i bod rig pa zhib ’jug lte gnas bka’ bstan dpe sdur khang (ed.). rNying rgyud. 49 vols. Krung go’i bod rig pa dpe skrun khang, 2015 (nearly A4 size, hard cover). ISBN 978-7-80253-818-4. Critical edition of the rNying ma rgyud 'bum based on the sDe dge, mTshams brag, Bai ro, and gTing skyes editions. 1. sPyi lo 1 nas 2100 bar gyi lugs drug shan sbyar bod kyi bskal ’khor lo tho. 4 vols. Bod rang skyong ljongs sman rtsis khang btsugs nas lo brgya ’khor bar legs skyes su phul. Bod ljongs mi dmangs dpe skrun khang, 2016 (nearly A4 size, hard cover). Individual ISBN. Tibetan and Chinese. Tables for calculating dates according to different Tibetan calendar systems into the Gregorian calendar systems (year, month, and day). 1. Xizang Bowuguan (ed.). 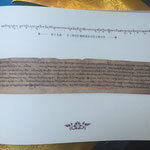 Lo rgyus kyi dpang rtags / Li shi de jian zheng / The Witness of History: Bod ljongs rten rdzas bshams mdzod khang nas nyar tshags byas pa'i krung dbyangs srid gzhung rim byung gis bod don 'dzin skyong gnang ba'i skor gyi rig dngos gces btus / Xizang bowuguan zang lidai zhongyang zhengfu zhizang wenwu jicui / A Collection of Cultural Relics Concerning the Successive Central Governments Governing Tibet Preserved in Tibet Museum. (A4 size, hard cover, colour plates). Sichuan meishu chubanshe, 2015. ISBN 978-7-5410-6481-4. 2. Xizang bowuguan / Bod ljongs rten rdzas bshams mdzod khang / Tibet Museum. 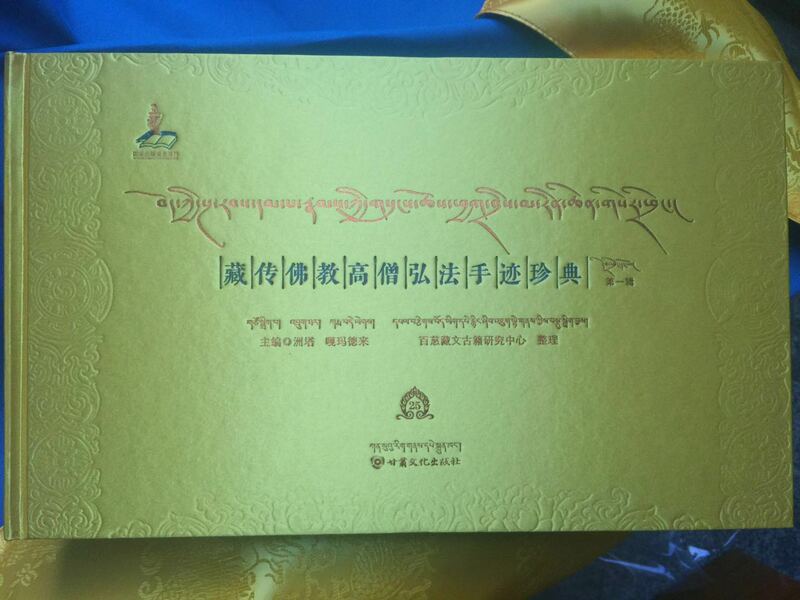 CD-Rom compiled by Tibet Museum featuring individual entries for the museums holdings (e.g. 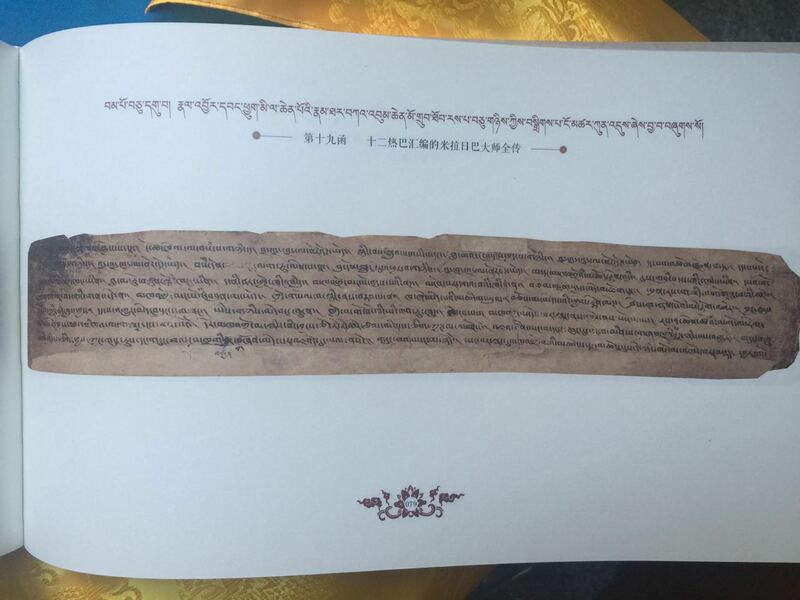 documents, seals, statues, thangkas) arranged under the headings: Preface, Prehistoric Culture, Non Separated Relationship between the Tibetan Local Government and the Central Government, Culture and Arts, Folk Culture, and Cultural relics preserved in the Museum. ISBN 7-900006-94-X. 3. rDo sbis Tshe ring rgyal and sDo sbis Tshe ring rdo rje (ed.). Bod kyi khrims srol skor gyi lo rgyus yig tshags phyogs sgrig: gZhung yig phyogs sgrig. Bod ljongs mi dmangs dpe skrun khang, 2016. ISBN 978-7-223-05022-7. 4. rDo sbis Tshe ring rgyal and sDo sbis Tshe ring rdo rje (ed.). Bod kyi khrims srol skor gyi lo rgyus yig tshags phyogs sgrig: Zhal lce phyogs sgrig. Bod ljongs mi dmangs dpe skrun khang, 2016. ISBN 978-7-223-05023-4. 5. rDo sbis Tshe ring rgyal and sDo sbis Tshe ring rdo rje (ed.). Bod kyi khrims srol skor gyi lo rgyus yig tshags phyogs sgrig: bTsan po'i rgyal rabs skabs kyi khrims srol yig tshags. Bod ljongs mi dmangs dpe skrun khang, 2016. ISBN 978-7-223-05030-2. 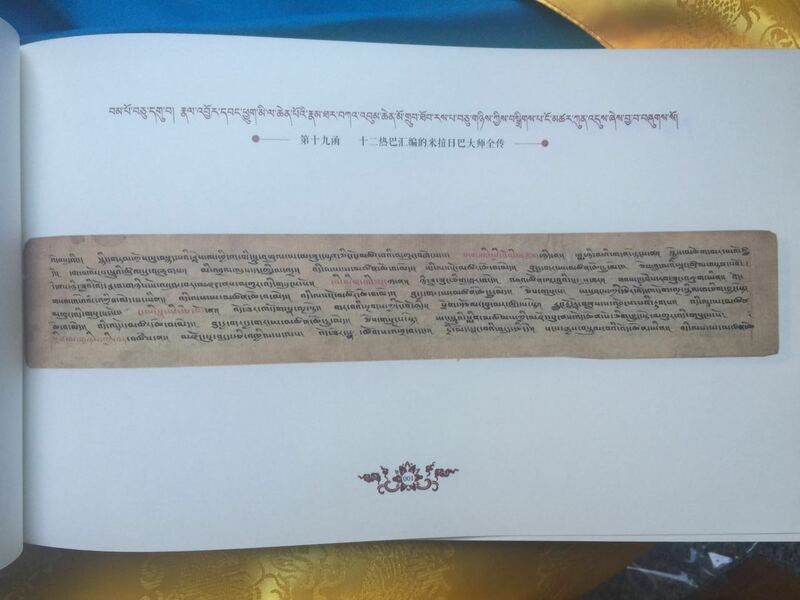 6. brNyan par skye dngos brtag dpyad khang (IBE) (ed.). 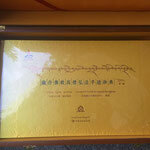 mTsho bod mtho sgang gi bya rigs lta zhib lag deb / Field Guide to Birdwatching of Tibetan Plateau. Krung go'i bod rig pa dpe skrun khang, 2016 (colour plates). ISBN 978-7-80253-871-9. 7. rDo dgon gSang bdag rdo rje and dGa' ba pa sangs. Bod kyi yul srol rnam bshad. Bod ljongs mi dmangs dpe skrun khang, 2016. ISBN 978-7-223-05011-1. 2. Bod ljongs bod lugs gso rig slob grwa chen mo (ed.). 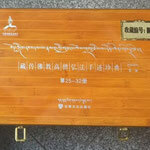 Krung go’i bod lugs gso rig rtsa che’i dpe rnying kun btus / 中国藏医药影印古籍珍本 / China’s Traditional Tibetan Medical Texts. 30 vols. Pho brang po ta la’i gsung rab gter mdzod las btus / A Treasury of Scriptures from the Potala Palace. Bod ljongs mi dmangs dpe skrun khang, 2014. ISBN 978-7-223-03999-4 (different ISBN for each volume). Full colour facsimile reproduction of the original manuscripts in high quality; large oblong volumes (hard cover).